Remember life before cellphones? It's hard, because they are so ubiquitous and essential. 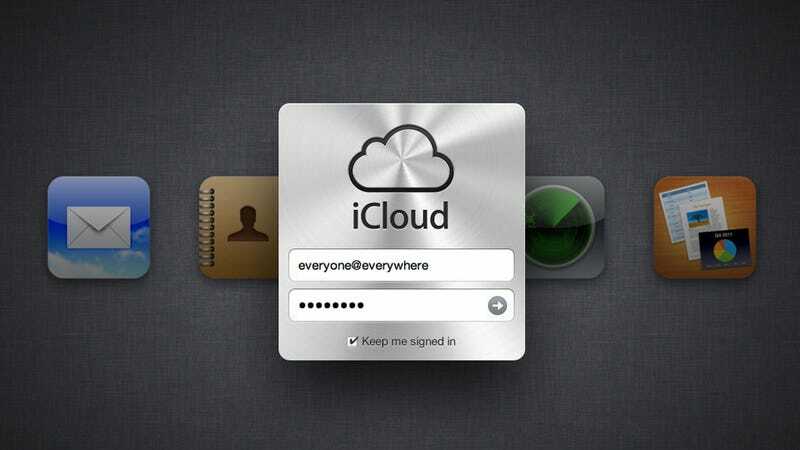 iCloud marks a similar turning point, a transition from an old way of doing things. It makes computers easy for everyone, by making computing disappear. Of everything Apple is rolling out today—and its rolling out a Hell of a lot of stuff—there is no bigger deal than iCloud. Forget Siri or Find my Phone or Notifications or any of the other numerous updates and enhancements that iOS 5 brings to the party. None of it matters compared to iCloud. For some of us, iCloud means we're never buying another computer, and for the rest of us, iCloud will be the end of computing as we have always known it. For many decades, computers were something that only engineers used. In the 1980s, they became available to anyone who could afford one, but still required a lot of specialized knowledge. By the 90s, they were to the point where you didn't have to know much to achieve common tasks—but doing anything even remotely unexpected could mean a call to tech support for most people. In the past ten years, they've lept forward again and become easier than ever, but have still remained folder and hierarchy based. You have to have at least some basic understanding of how information is organized on them. iCloud ends all that. There are no more file systems and folders to manage. It doesn't matter where you save something, you just start an app and there's your data. Here are your pictures, your music, your documents and movies. Here are your apps and maps and all the things you care about. You don't need to look for them, or move them from place to place. There's no more manual syncing. No more worrying about backups. No more dragging and dropping one thing from one place to another. All you have to do now is hit the power button. That's it. iCloud transforms our machines into little more than a variety of screens we'll use to peek at data, in much the same way we use screens to peek in at TV shows. There's nothing to learn, and nothing to manage. iCloud makes your computer and its file system completely unnecessary. Sure, you can still use one if you want to. And everything will just show up there—your music, your photos, your documents. Or you can ditch it, and just go iPhone or iPad only. And all your files will still have a home, a secure home in the cloud, and will still sync automatically to your devices. In 2001, Steve Jobs announced Apple's digital hub strategy. The Mac would be the centerpiece tool to connect and control all of your digital devices. It sounds obvious in retrospect, but it was that strategy that took Apple from nearly dead to being the biggest goddamn company in the world. And as it grew, it changed. It went from being Apple Computer, to Apple Inc.—the company dropped the computer, but you still needed one. The hub remained essential, and the hub remained a computer in your home that that managed the flow of your data and gadgets via wires and cables and ports. You had to have a computer, and some knowledge of how to use it, to keep track of all the electronic things you produced and consumed. But now the hub is gone. Or rather, it's moved offsite, so you don't have to think about ever again. Now it's somewhere in a climate-controlled building in North Carolina, under fluorescent lights and acoustic ceiling tiles, humming and clicking and sounding a bit like Kid A. It's a series of redundant servers that connect to your phone, your tablet, your computer, and even your television via radio waves and antennas: things you'll never see or care about. Those servers move the documents from your desktop onto your iPad, the pictures you snap with your phone onto your Apple TV, and make sure the music you buy on the go is waiting for you in iTunes when you get home. You don't need a desktop, or a mouse, or any knowledge of where things are. That's what's so great about the cloud, not that you can store things remotely, but that you don't have to worry about where those things are. At all. Of course, Google has been working towards this same end goal for some time now, and has in some ways gone even deeper into the cloud. When you get a new Android device or a Chromebook you can simply log into your Google account and all your emails, contacts, music, documents voicemails and photos are there waiting for you. But Google requires some setup and knowledge about how to use its services, and it still makes you push and pull. To take full advantage of Google's cloud services, you have to be something of a power user. You have to know what you want to accomplish in advance. And if you want to use them offline, well, sorry. What iCloud is doing is making these highly advanced functions available to anyone. You don't have to know you can sync everything, it just happens. Updating your phone? Done. Downloading mobile photos? Done. Backing up your files? Done. Sure, a lot of people were doing this stuff before with Dropbox and other third-party software. But your dad probably isn't going to do that. At best he may look for a "make all my stuff work together" button—if he even knows that his stuff can work together. Apple upends the process by taking over the hub completely and making all that syncing and organizing both invisible and, more importantly, automatic. Everything is action-focused. Just do your tasks, and it takes care of the rest. Once you've got an iPhone, it says, just take a picture, and we'll make it show up everywhere. Just plug your phone into the power outlet at night, like you always do, and we'll back it up for you. We'll make sure your documents are never lost and your calendar is always up to date. We will organize your digital clutter for you. We will end fragmentation, and make sure that each and every bit you care about is always exactly where you need it—which is to say directly in front of you. And it's able to do this because, somewhat counter-intuitively, iCloud doesn't live purely online. Unlike Google's cloud services, iCloud is also local. It gets that you want stuff with you, now. And so instead of forcing you to call it up, it pushes it to you in the background. It is the interim step between purely device-based apps and purely Internet-based services. iTunes Match, for example, is designed to transition us away from the downloading model while still giving us downloads. Again, it knows how to do this stuff so average people don't have to. Buy into Apple's ecosystem, and it's all just done. Seamlessly. On every screen. Your phone, your tablet, your computer, your television. iCloud merges them all and pushes content to each of them. It obliterates distinctions between screens. One data set; many devices. Change something on one, and it flows to all the rest. And because Apple is giving developers access to iCloud services, you can expect ever-more applications to take advantage of it. To sync up your life and spread it around from device to device. To make it easier to get things done. To make using a computer faster, more efficient, more productive. The logical end goal of iCloud is, of course, replacing the operating system itself. No more iOS, no more OS X, no more Windows. There are just the devices you turn on or off, and the data they store. iCloud is computing without the computing. And all of it, simply working, for everyone. Even your parents. Even your grandparents. Even your children. Thanks to iCloud, we are all power users now.